Diploma mills and fake online “colleges” and “universities” are increasingly rising (Noble, 1998; Noble, 2002). A number of phony online “institutions” advertised online are unaccredited and defrauding people. Revolutionary Paideia has reported about one of these fake “institutions,” Rochville University. 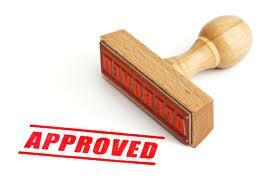 The accreditation and reaccreditation process is engaged in to protect the public’s trust in a degree. Many online universities are legitimate accredited higher education institutions. Two examples of legitimate accredited online higher education institutions are Walden University and Capella University. Before you invest your time and money in obtaining a degree completely online, be sure to check with the United States Department of Education and/or the Council for Higher Education Accreditation (CHEA) to ascertain if the online institution of your choice is accredited by the Department of Education and/or one of the legal accrediting bodies (which one can find out by going to the CHEA website). On the CHEA website, one can find papers, videos, resources and etc. about accreditation and diploma mills. Additionally, Craig Mayfield has published a valuable explanation of accreditation at http://www.onlinemba.com/guide/. Once on the site, scroll down and you will find his work on accreditation under the section, “All About Accreditation.” You will be pleased with the information Craig Mayfield provides about accreditation. He even provides information about the legal accrediting agencies. Legal accrediting agencies determine which institutions will be accredited and which will not be accredited. It’s important for degree-seekers to understand they cannot receive a legal accredited degree by receiving all, most, or a substantial credit for “life experience.” When you see “life experience” advertised in exchange for a degree, you need to know someone is attempting to scam you. Don’t be fooled! Too many people have contacted Revolutionary Paideia about being scammed by fake “universities,” so please don’t become the next victim. This rise of phony degree granting institutions is certainly an unfortunate social reality. People can sit back in the comfort of their homes and create a “university” and attempt to sell you a degree. While the highly educated and socially aware among us know about these diploma mills, I am tremendously concerned about the lesser educated among us. Many marginalized and socially and economically disadvantaged people are not aware of the difference between phony online universities and legitimate ones. The purpose of this article is to bring attention to phony online universities, and to offer a brief report about my scholarly and empirical work on fake universities, especially Rochville University http://www.rochvilleuniversity.org/ . The American and international public does not have a deep understanding about accreditation. Accreditation is a voluntary and formal way of ensuring that institutions are providing their students with the quality education they claim to offer. Accrediting agencies have been entrusted with the responsibility of resolving what institutions are meeting their promulgated goals. Accreditation protects the public trust in an institution. When a college or university elects to offer degrees without accreditation, please know that you are obtaining a degree from an institution without any value and credibility. When a college or university claims to be accredited by an accreditor without any recognition, this is a phony “institution” that will waste your money. These institutions that promise you to be a Ph.D. in 24 hours for a certain amount of money are simply trying to cheat you out of your money. You will not be considered to a Ph.D.—trust me! Rochville University is one of these fake institutions that I have been investigating for over two years now. I was able to purchase a high school diploma for my grandmother by simply submitting her resume and paying $239. The high school diploma package comes with 1 transcript, 1 Certificate of Participation in Student Council, and unlimited verification for schools and employers of one’s attendance at this institution. 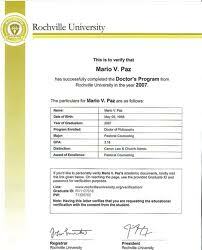 Rochville University claims that it can legally give you a diploma and even a degree—all the way to a Ph.D.—based on life experience. People please do not believe this because you need to know that only a small number of academic credits can be awarded to you for your life experience. What may be even more problematic is two accredited universities accepted the phony high school diploma that I purchased from Rochville University. Troy University (formerly Troy State University) and Walden University accepted my grandmother into their universities. She was able to attend both of their institutions online with this bogus high school diploma. She was able to receive federal financial aid at these institutions too. This means that accredited institutions like Troy University and Walden University, institutions accredited by the same accrediting agencies great universities like the University of Florida, the University of Wisconsin-Madison, Albany State University, and the University of Arkansas are accredited by, need to be more probing in investigating the credentials of students during the admission process. I do not want people to think that I am attempting to disparage online universities and for-profit universities. There are many respectable online and for-profit institutions available. I do, however, want the American people and the international community to be aware that there are fake universities on the internet. When it comes to receiving a valuable degree, please know that you cannot simply purchase one online.